A natural wood frame in a scooped, scalloped profile with antiqued gold on the outside and inside edges. This black picture frame features a cream mat with a gold fillet. 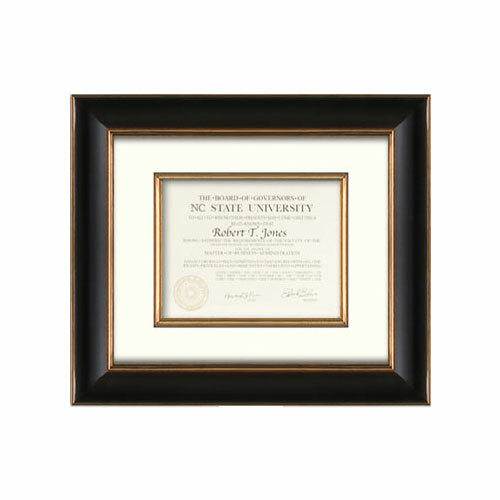 I purchased this frame for my daughter's college diploma, so I wanted something special. It cost a bit more than I had budgeted, but when it arrived, I was extremely pleased. Very classy, and my daughter loves it!